Taylor Swift has been refusing to put her new album “1989” on Spotify since its release last week, but now she’s also pulled her old albums from the streaming service. It doesn’t appear that any of Swift’s songs are currently available on Spotify, and a Spotify spokesperson confirmed to Business Insider that she removed all of her albums from the streaming service. Artists don’t make nearly as much money putting their music on Spotify as they do selling digital albums and songs on services like iTunes. Earlier this month, Jimmy Buffett asked Spotify CEO Daniel Ek for a raise, saying artists who stream their music on Spotify are “at the end of the pipeline” when it comes to the money Spotify pays labels for permission to stream albums. Spotify says it pays 70% of its revenue to labels — which will amount to about $US1 billion this year — but some artists feel they don’t get a big enough cut. We love Taylor Swift, and our more than 40 million users love her even more — nearly 16 million of them have played her songs in the last 30 days, and she’s on over 19 million playlists. PS — Taylor, we were both young when we first saw you, but now there’s more than 40 million of us who want you to stay, stay, stay. It’s a love story, baby, just say, Yes. 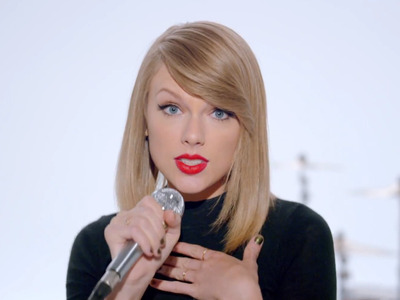 Swift initially refused to release her 2012 album “Red” on Spotify, but relented several months later.